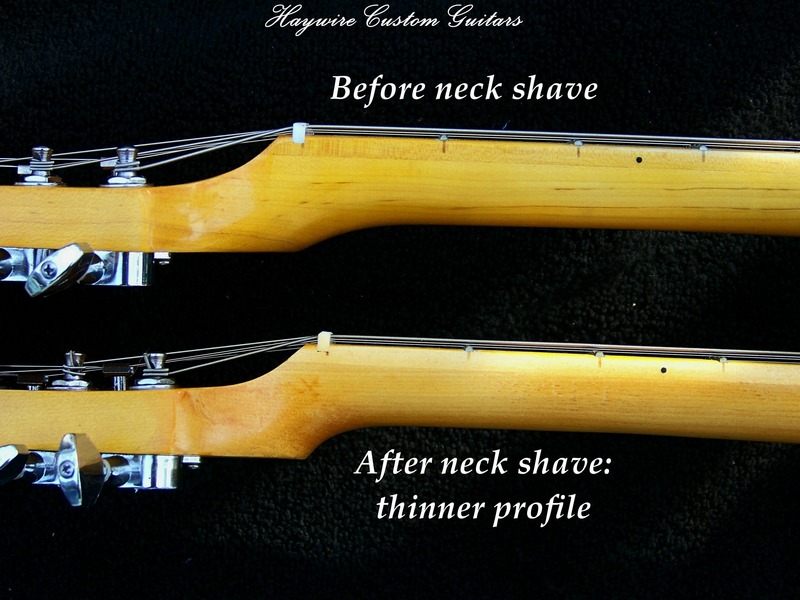 Guitar Neck Reshaping - Haywire Custom Guitars-Highly Recommended! guitar neck reshaping to customize a guitar just for the way you play? Firstly, when in the middle of a gig do you notice some hand fatigue? In addition to, inability to reach notes or the feeling there’s something slowing you down? Did you ever pick up a friends guitar and say to yourself, “I wish my guitar felt this good”. And, have you found a guitar somewhere that looks exactly like your and had to go grab it to see what it felt like? Most importantly, were you surprised? Likely it didn’t feel like yours did it? Players begin the customization process the very day they get a new guitar. Guitar neck reshaping is often desired but hardly attained without the proper resources. There are many possibilities for better playing guitars. For example: a neck that allows you to change the scale length of your 25-1/2″ Fender scale guitar. Consider the shorter Gibson scale of 24-3/4″. This kind of customization shortens the distance between frets and lowers string tension for easier, quicker playing. Thought about it? Never heard about it? It’s very attainable for any player who is desiring a change. Some players need a change as in guitar neck reshaping but can’t really verbalize what they need. Equally important, we’ll often hear, “this guitar is uncomfortable, it’s hard to play, my hands ache after a while or I can’t play as fast as I want to. The spectrum of player comfort is extremely wide. 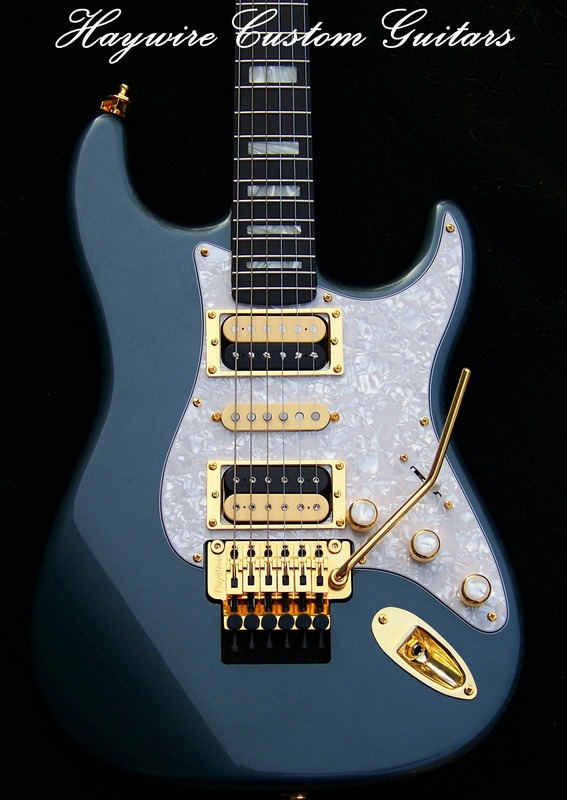 The spectrum of player comfort is extremely wide…..
Guitars are manufactured for “sales” not your comfort. Further, most companies build in the middle of the spectrum to “general players” with “average hands” with “average” needs. Similarly, they do not take into account comfort or needs of players “outside” the middle of the spectrum. In fact, if your an average guy, with average hands and middle of the road in every way-you’ll be fine with an general off-the-rack guitar built for average sales produced by almost every guitar company. As a result, because of your style differences, hand size, physical limitations, unusual playing style you don’t fall in the “middle of the spectrum”. 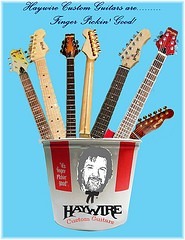 In conclusion, you’ll need help to determine which guitar neck reshaping process works best for your playing comfort. Think about a comparison with a neck you know that you already prefer. Above all, if you know what you need then you’re 90% there then we can get you all the way there. Compare the dimensions of the neck you’d like to change to those of your “favorite” neck for a start. In brief, a set of digital calipers is all you need to do that!